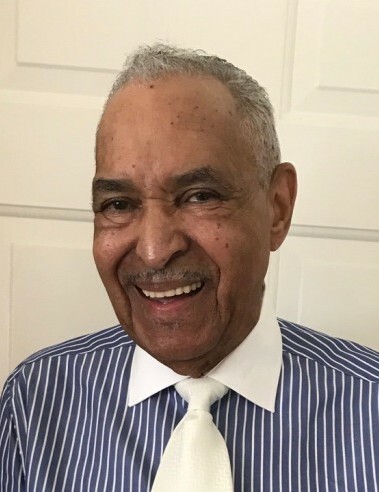 MSG (RET) Estol Banks, Sr., 78, of Radcliff, KY passed away on Monday, April 1, 2019 at his residence. Mr. Banks was baptized in 1950 at Mt. Hope Baptist Church, Caroline County, VA and is a member of Truth Baptist Church, Radcliff, KY. He was retired from the United States Army and a veteran of the Vietnam War. He was preceded in death by his parents, Eddie Banks, Sr. & Charlotte (Ferguson) Ellis; a son, Bobby Banks; one brother, Wayne M. Banks; two sisters, Barbara J. Martin, Jacqueline B. Ellis; a step-mother, Mary Banks. His loving wife of fifty three years, Georgia Banks; three sons, Craig L. Banks, Sr., Estol (Cary) Banks, Jr. & his wife, Christina, Anthony Banks; two daughters, Desiree B. Gowdie & her husband, Leroy, Kimberly Barnes; fifteen grandchildren, thirteen great grandchildren; one great great grandchild; two brothers, Eddie M. Banks & his wife, Linda, Joseph G. Ferguson; four sisters, Althea Mack, Beverly E. Washington, Sharon Brooks, Denise Smith; and a host of nieces, nephews, and cousins. Visitation will be from 10:00 AM until 11:00 AM Tuesday, April 9, 2019 at the New Hope Missionary Baptist Church, Radcliff, KY.
Funeral services for Mr. Banks will be held at 11:00 AM, Tuesday, April 9, 2019 at the New Hope Missionary Baptist Church, 1591 Hill Street, Radcliff, KY 40160. Burial with military honors will follow at the Kentucky Veterans Cemetery Central, Radcliff, KY.